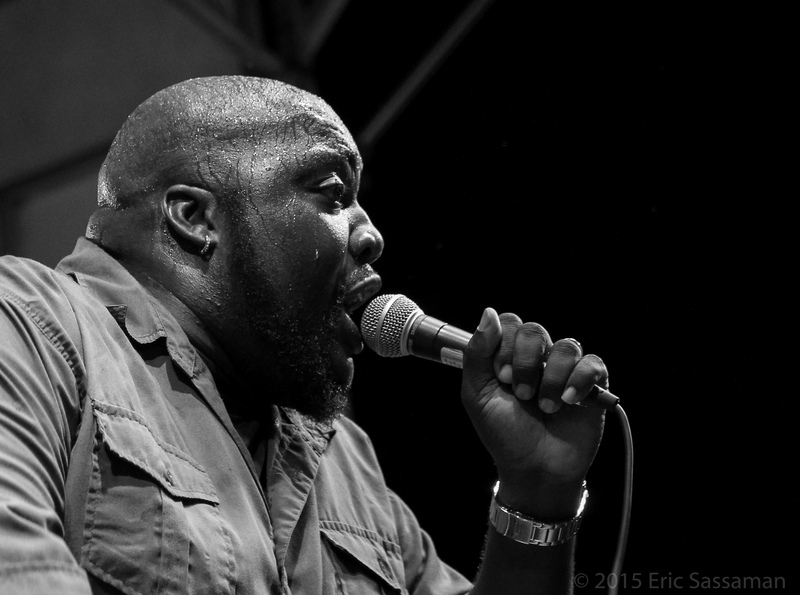 At 6’5”, Sugaray Rayford is as big a presence in person as he is in the blues. His beginnings were small, however; he began his career playing drums in a Texas church when he was just 7. His family struggled through his early years, to the extent that the boys competed to see who was skinniest by comparing belts to see which had the fewest unused holes. Through those lean years and into adulthood, Sugaray remained devoted to making music in church, until 20 years ago he started singing with a San Diego funk band, then went on to win second place at the 2006 International Blues Challenge with a band called Aunt Kizzie’s Boyz. A variety of projects brought him further success, including a deal with a record label, more prestigious awards, world tours, and spots on soundtracks in movies and on television. He toured and recorded with The Mannish Boys (appearing at Waterfront in 2012 and winning a Blues Music Award for Best Traditional Blues Album that year); starred in the Tony award-winning play “Ain’t Nuthin’ But the Blues” which appeared at Portland Center Stage as well as on Broadway; and hit the festival’s main stage in 2014 with his own superb band. The festival is thrilled to once again host Sugaray, who will make it clear to our Sunday crowd why the Blues Music Awards has nominated him this year for BB King Entertainer of the Year and Vocalist of the Year.